View Talay 1 condos for sale - Prices start from 1.4 million Thai Baht. View Talay 1 condos for rent - starting from 11,000 Thai Baht per month. We have a range of apartments available of various sizes, for short or long-term rentals and for sale - great investment opportunities or you can rent-to-own with our Easy Payment Plans. 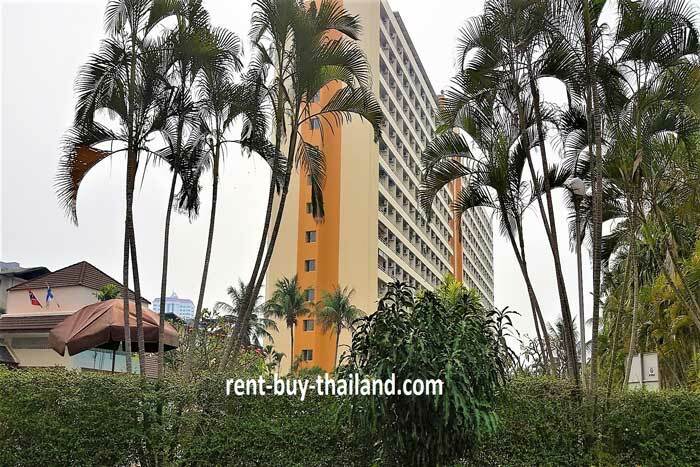 View Talay 1 Condominium was built in 1997 and is located in a great location on Thappraya Road, being on the main public transport route between Jomtien Beach and Central Pattaya, making getting around easy! There are 2 buildings in the complex, A & B, and residents can benefit from great facilities on offer. In addition, on the ground floor of the complex you can find laundry and cleaning services, massage and beauty parlors, and shops for your convenience. Jomtien Beach is a short walk or drive away, as are some excellent bars and restaurants (both international and local), a large supermarket, shops, a fresh food market and entertainment venues. The complex is very close to the bus terminal linking to Suvarnabhumi Airport and Bangkok, which is very handy for airport transfers!. Jomtien offers numerous restaurants allowing you to choose from a variety of international cuisines and traditional Thai dishes. Although the area is quieter than Pattaya, Jomtien does have a varied nightlife, including Super Town (its version of Walking Street), along with music and sports bars, cabaret and family orientated establishments - there is plenty of entertainment on offer and something for everyone. There are plenty of beauty salons, massage parlors in the area, where you can enjoy relaxation treatments and traditional Thai massages, as well as a range of shops and markets offering items such as clothing, souvenirs and fresh fruit and vegetables. There are two night markets in Jomtien, one on Beach Road that is open every night and popular for its many cheap food stalls, along with other wares such as clothes, shoes and tourist mementos. The other is the famous and popular Thepprasit Night Market, which is held every Friday, Saturday and Sunday evenings and well worth a visit - this is one of Pattaya's largest markets with many stalls offering a variety of wares, including clothes, shoes, electronics and even pet, and a large food area where you can sample a huge range of delicious authentic Thai street food. Jomtien is a great base from which to explore Pattaya and its many attractions such as the Sanctuary of Truth, Pattaya Floating Market and Nong Nooch Tropical Botanical Garden. A short ride on the Baht Bus from Jomtien Beach Road will take you into Central Pattaya, which offers an abundance of shops, restaurants and bars, a vibrant night life (including Walking Street), plenty of tourist attractions to keep you entertained and 4 km of beach offering various water sports and trips to the nearby scenic island of Koh Larn (Coral Island) with it's white sandy beaches and crystal clear waters providing an excellent opportunity for snorkeling. There are also plenty of golfing opportunities in the area. If you want to explore further afield there are many tourist agents offering a variety of excursions to attractions such as Bangkok, Angkor Wat in Cambodia, Erawan National Park and the Bridge over the River Kwai to name a few! View Talay 1 Condos for sale or rent - more apartments available at View Talay 2, 5 and 8! 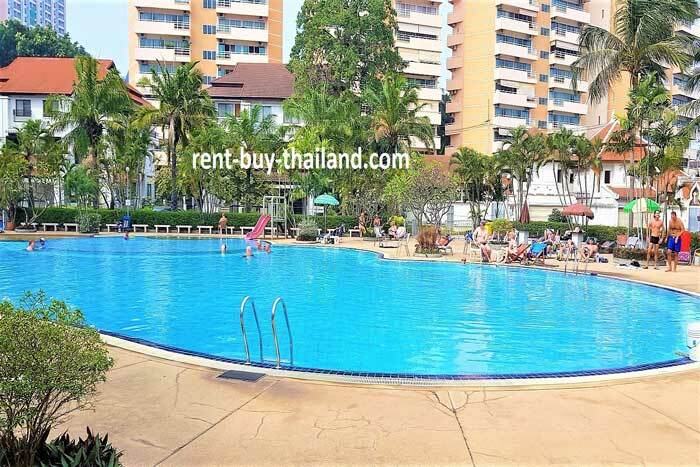 View Talay 1 Pattaya - View Talay 1 Jomtien - View Talay 1 condos for sale - View Talay condos for rent!